It’s been a while since we updated the website, so we just wanted to bring you all up to speed with where we are. The failure of the Kickstarter campaign turned out to have several positives. It greatly raised awareness of our project, and in particular brought us to the attention of Oxford University Innovation, a start-up incubator programme owned by the university. OUI have provided us extensive support to help us raise the finance we need to progress the project further. After several months’ work with them, we are now actively pitching for investment, and hope to have good news for you very soon. We’ll also be pushing some of the work we’ve been doing to the website, so you’ll get to see the latest branding and concept art we’ve developed. Watch this space for new updates very soon! The immediate aftermath of the Kickstarter was a strange sense of calm. Succeed or fail, it is a relief once the worry and uncertainty are over. In the aftermath, we’ve been looking back at what went right and what went wrong, and planning what we do next. These are our current thoughts. Launching the Kickstarter campaign at all was in itself a success. 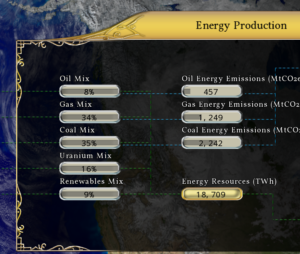 All year, our focus has been getting our Kickstarter campaign out, as this January dev blog shows. Despite a false start, we got there in the end, and it was a great satisfaction pressing the button that launched our month-long campaign. Lots of cool things happened during that month. Kickstarter acclaimed us as a “Project We Love”. Richard Garriott, one of our game design heroes, publicly backed our campaign. The feedback we received from other backers was overwhelmingly positive too. We put ourselves in the shop window, had our vision validated, and connected with lots of really cool people. There are still plenty of reasons to feel optimistic we can make this project happen. As it was our first campaign, there were a fair few “Kickstarter noob” errors which caught us unawares. There was a last minute scramble to find the launch button (only the Kickstarter owner sees this), an issue with getting analytics IDs working ( another owner issue, our thanks to Kickstarter’s Anya Combs for helping us resolve it), and our Planetary Saviour plan was weakened when we hit an unexpected limit on reward size (£8k, rather than the £50k we wanted). Our funding goal was pretty high compared to other campaigns, despite being an accurate reflection of the minimum funds we needed. Likewise, our campaign was quite light in terms of artwork and gameplay. Kickstarter has become a place where nearly-finished games go for polishing and awareness. For us, looking to raise funds to start development proper, it was hard to compete. It’s also become increasingly hard in recent years to fund video games on Kickstarter. This article here gives an excellent insight into how the platform is changing. We’re not ruling out returning to Kickstarter or another crowdfunding platform in future, but for now we’ll be focusing on other routes forward. We cannot take this project forward without investment. We need more people, and more time, if we’re to build the unique and valuable game we envisage. Our next port of call will be traditional investors. We’re sure that there are people out there who would be prepared to take a stake in the project; we just need to find them. The work we’ve done for Kickstarter shares many similarities to what investors expect to see, and right now we’re pulling together a presentation to share with interested parties. The curtain has just dropped on our Kickstarter campaign, and sadly we did not hit our goal. The next couple of weeks, we’ll be analysing where we went wrong, and planning what we to do next. Meanwhile, we want to thank all those whose pledges supported us and made us feel this project is worthwhile. As a mark of our appreciation, we’d like to offer all pledgers a Steam key for Fate of the World: Tipping Point, and inclusion in the game credits should we find another way to bring the sequel to completion. To participate, we invite you to message us in Kickstarter from your pledging account, giving us your email address and your name as it should appear in the credits. We will also use these details to keep you up to date with any further project developments. Once again, we offer our deepest thanks to all of you who have pledged, shared posts, made introductions, offered advice, and given compliments. You have helped us build a great awareness of the project, and inspired its progress. There’s just over 12 hours until the end of our Kickstarter campaign, and though the odds of success look slim, we remain optimistic. 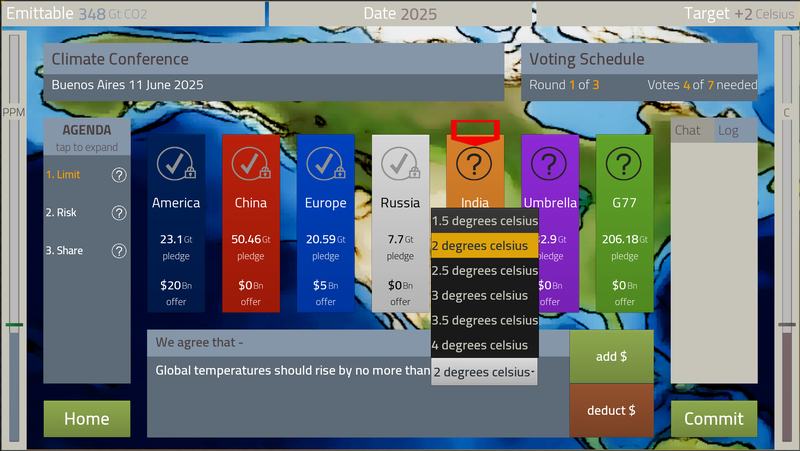 Our original climate change game, Fate of the World, reached hundreds of thousands of people. We aim to make a sequel that is more widely accessible, digs deeper and deals with new facets of climate change, and can reach millions of people. Alongside our Kickstarter we have been pursuing other routes to funding, and want to stress that every pledge counts! Even if we do not reach our target, it helps build confidence in the project – both for the team working on it, and any future collaborators or investors. To visit the Kickstarter page, click here. If there’s anything you’d like to discuss with us, you can always find us on Twitter at @fateoftheworld, on Facebook, or join the discussion in our FOTW Online Facebook Group. Once the dust settles, we’ll be back with a full report on our past experiences and recent plans. There’s less than three days now until our Kickstarter ends, and we’re doing everything we can in that time to make it a success. We’re spreading awareness of the game as far wide as we can… which is why’re making the original game as affordable as possible in the upcoming Halloween sale on Steam. Fate of the World will be 90% off all versions for the duration of the Steam sale. If you or your friends have the game on your wishlists, now’s the time to buy it! We want as many people as possible to try the game out before our Kickstarter ends in 72 hours’ time. It will only take around a thousand people wanting to see our next geopolitical survival indie game to make this project happen. Anything you can do to build awareness and support in that time will be of huge value. There’s nothing more we want to do than make Fate of the World Online a positive contribution to the climate change discussion. We’re now 48 hours into our Kickstarter campaign. If you haven’t seen the page yet, you can click here to visit it. Early signs have been good: we’re a whisker away from being 5% funded at the time of writing. We’ve also been selected by Kickstarter themselves as a “Project We Love”, which is really positive news. There’s still a long way to go, though, and we’ll need every bit of help and support we can get to succeed in our goals. Backing us with a pledge is of course the most direct way to support us, but just as valuable is helping us to spread awareness of the game and the campaign. Every share, mention, like, retweet, and compliment helps us build confidence and momentum in our campaign, and will allow us to deliver you a truly special game about climate change and its impact on humanity. There are 31 more days before our campaign ends, and we’ll be working hard on every single one of them to ensure we succeed. Any thoughts, tips, or insights you have to share with us during that time will be gratefully received. Feel free to contact us at info@soothsayergames.com, or come find us on social media: we’re active on Twitter, Facebook, and our Discussion Group. Kickstarter launch is 26th September! This dev blog, the big news is that our revised Kickstarter campaign will be going live on the 26th September 2017. This is just over two weeks away, and we’ll be revealing more and more of our plans as we get closer to the start date. As we revealed on Facebook earlier this week, we’re aiming to raise a minimum of £60,000. 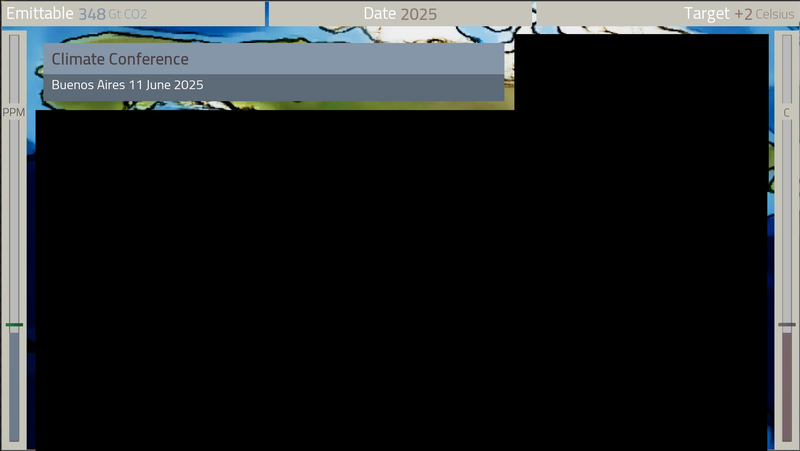 This will be sufficient to create the first playable version of the game, which is the first step on our journey to make the best game ever made about climate change. Once the campaign goes live, we’ll only have four weeks to hit our funding target…. so your support during that time will be critical to our success. Backing the Kickstarter personally is the obvious way to help us – whatever size donation you can make is greatly appreciated, and we have a host of different rewards to show you our gratitude. Beyond that, anything you can do to make people aware of our campaign is extremely helpful. Retweeting or sharing links to the Kickstarter page, or mentioning the campaign to someone you think might be interested, will all greatly assist us reaching our funding goal, and continuing development. It’s a really exciting time for everyone at Soothsayer, the culmination of over two years’ hard work, and hopefully the start of a completely new phase for the Fate of the World project. 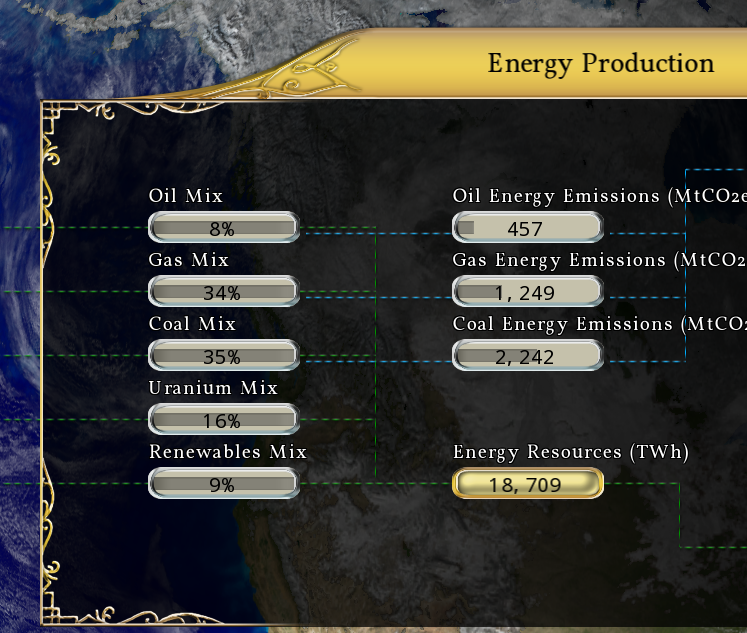 Also this dev blog, we’re revealing the first full screenshot from Fate of the World. 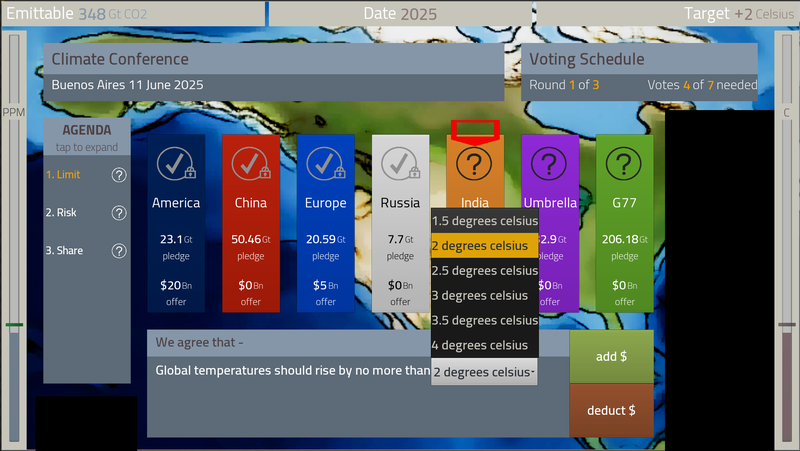 The goal of this screen is bring all the most important information about your nation into one place, so you can quickly assess and compare its economic, environmental, industrial, technological, and political situations. The Arch is intended to be a near-constant element, always reminding you of the global atmospheric situation. The marks you can see on each bar are the goals you’ve pledged to observe, with their numerical value displayed on the horizontal bar above. Here, we see that the USA has joined a pledge to achieve no greater than a 2 degree temperature increase, which requires global emissions not exceed 510 gigatons. 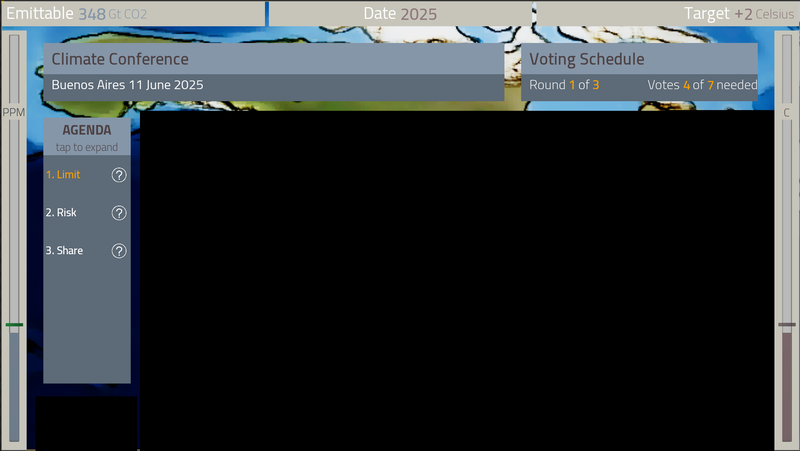 Each of these panels is buttonised, meaning that you can tap/click on them to reveal a sub-screen where the summarised information is broken out into full detail. 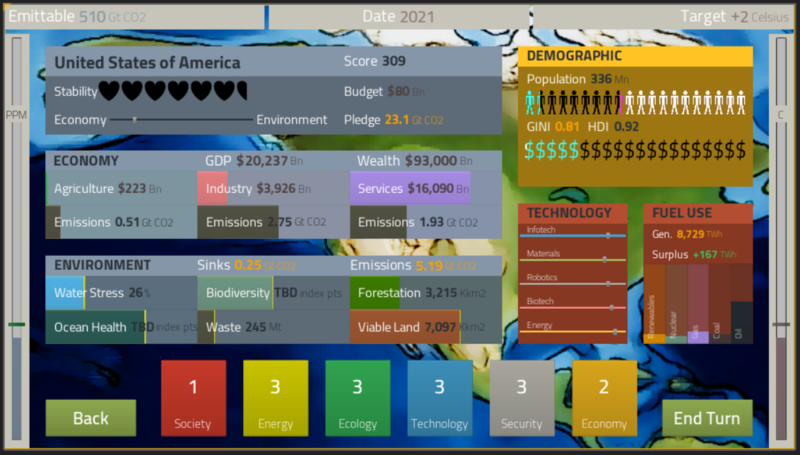 The top panel shows your core game stats: what nation you’re playing; how polically stable it is (your game ends if your nation ceases to function as such); whether your populace are more politically motivated by the economy or the environment; how much money you’ve got to spend on your initiatives; the maximum emissions level you’ve pledged to observe; and a score reflecting how well you’re playing. Below that is the Economic panel, while to the right is the Demographic. 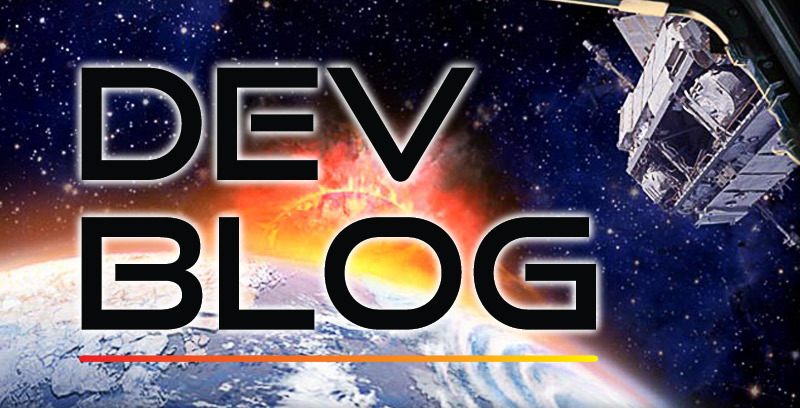 Both of those we’ve discussed in previous newsletters, and on the dev blog here and here. 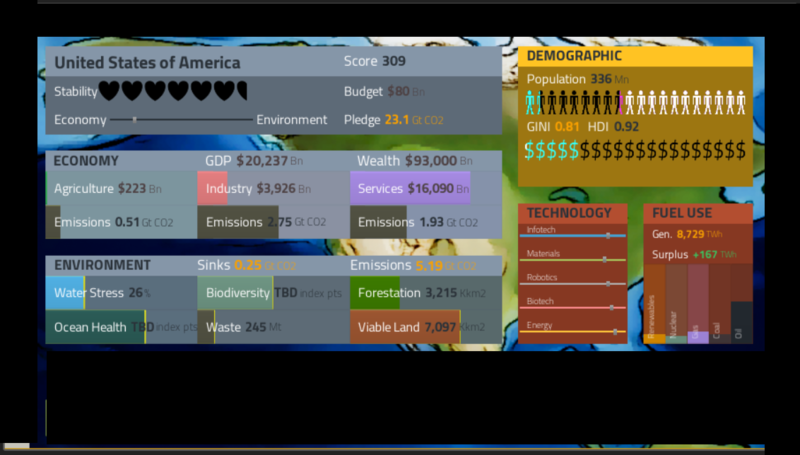 Bottom left is the Environmental panel, showing you the most important ecological metrics. How abundant and healthy wildlife is in your country and its surrounding waters; how stressed your fresh water cycle is; how much viable land there is for farming or reforestation; and how many waste products your economy is releasing into it. 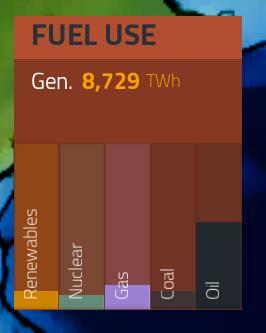 On the right of the screen, we’ve already talked about the Fuel Use panel here. 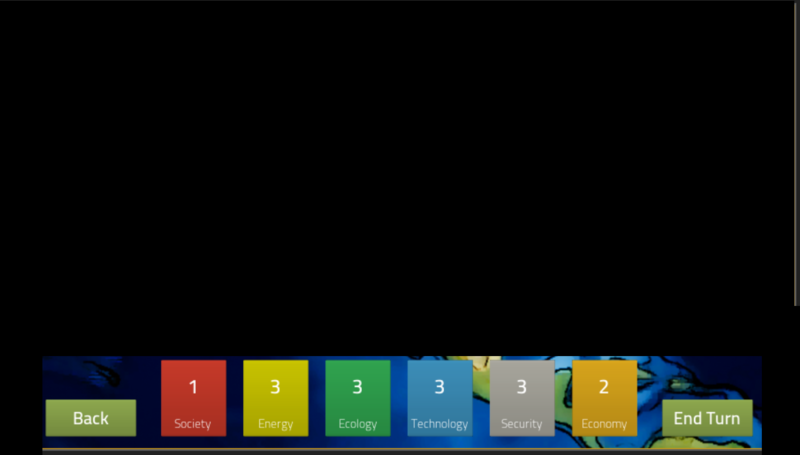 Beside it is the Technology panel, which shows your nation’s relative sophistication in five areas of science. 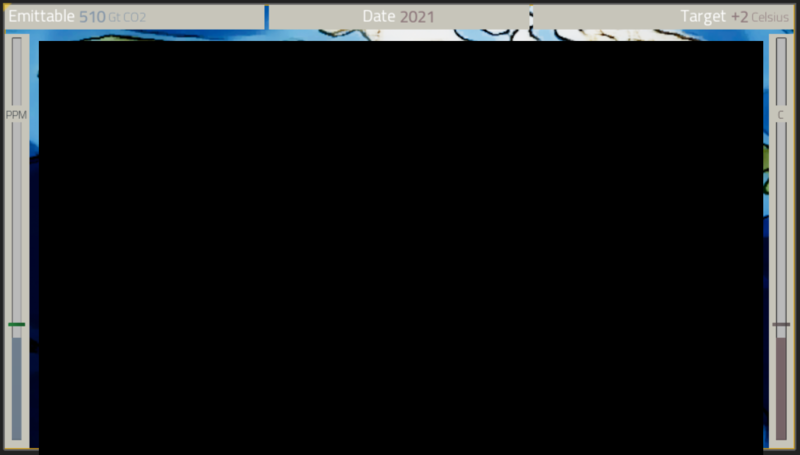 The “Back” button is used to bring you out of the various sub-screens, while End Turn commits your current policies for play, advancing the game one year. Between those controls are the Policy buttons. Each one brings up a specific menu of policy cards to address a particular area of government. 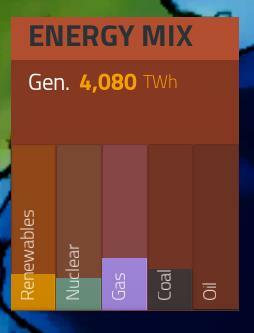 The colour scheme is very similar to the original FOTW deck colours: yellow is energy/industry, green is environmental, red is public welfare. There’s also a completely new deck: gold cards will focus specifically on policies affecting wealth and finance. That’s about all we have for you right now, but we’ll be back with another newsletter next week. Meanwhile, if you want to keep tabs on what we’re at, come find us on Twitter at @fateoftheworld, or join the discussion in our FOTW Online Facebook Group. At the time of writing, we’re watching distressing scenes coming in from Houston. Hurricane Harvey has brought over four feet of rainfall (1.2 metres) to America’s fourth-largest city, causing extensive floods that have already killed at least one person, and rendered thousands more homeless. Already it is the heaviest rainfall ever recorded in Texas, with reports that it could get even worse, should the storm return again. Was global warming implicated in the severity of this disaster? Climate scientist Michael Mann certainly thinks so, and explains why in detail here. All the science suggests that incidents like this are going to become more common, and more severe, as the climate of our planet heats up. The conditions humanity has grown accustomed to for thousands of years will see dramatic change, and may never return to their original state. It’s this knowledge which keeps us working away on the sequel, as we try to comprehend all the complexities of this situation, and then model them in a way that makes them easily understandable to a wide audience. These matters are so important to all of humanity, it’s critical that we can educate ourselves and others about them. It’s true that we want to make a really good game too… but it would be hard not to if we can capture even a fraction of our vicious predicament. 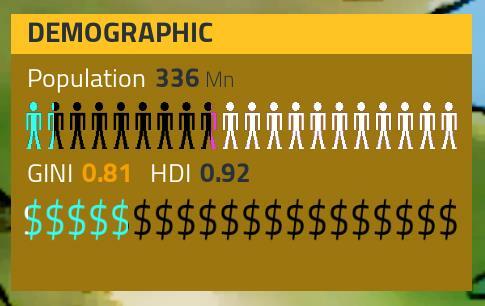 Development-wise, progress towards the Kickstarter launch is good. The first gameplay tranche is pretty much complete now, and we’ll be recording gameplay footage later this week, for use in our campaign video. 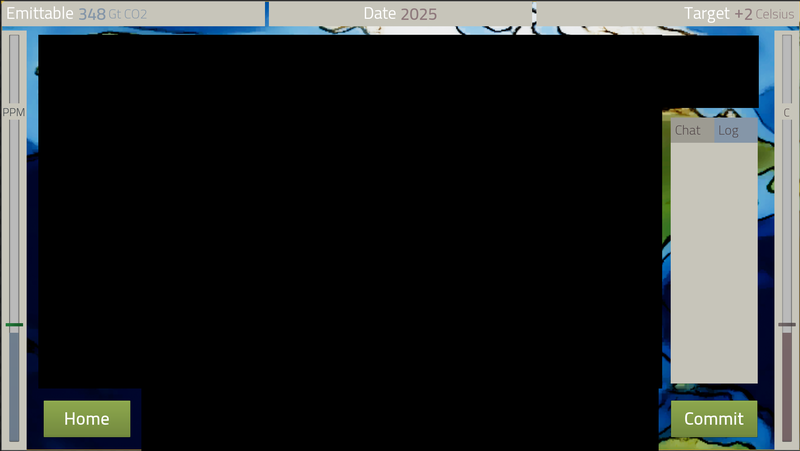 We’ll also be releasing the next screenshot of the new game this week. Once again, newsletter subscribers will get the news first, so please do subscribe if you want to stay abreast of what’s happening. We’ll be around on Facebook and Twitter all week, where we’ll be sharing updates,, insights and other items of interest. Hope to see you there!